Jumeirah Creekside Hotel menawarkan akomodasi mewah dan modern dengan pemandangan Dubai Creek. Hotel ini menawarkan akses sepuasnya ke Wild Wadi Waterpark™ dan akses pantai pribadi di Jumeirah Zabeel Zaray 1 kali per masa inap. Hotel ini memiliki 2 kolam renang luar ruangan, 5 restoran kelas dunia, pusat kebugaran, dan tempat spa. Anda dapat menikmati akses Wi-Fi gratis di seluruh area properti. Semua unit kamar dan suite menawarkan akses gratis sepuasnya ke Wild Wadi Waterpark™ selama menginap. Akses ke pantai pribadi tersedia 1 kali per orang per masa inap. Setiap kamar menyediakan TV layar datar, meja, dan minibar gratis dengan minuman ringan. Tersedia juga layanan troli harian yang menawarkan perlengkapan mandi gratis. Restoran hotel menyajikan berbagai hidangan internasional yang lezat. Tersedia bar & lounge bergaya Latin di puncak gedung, Cu-ba, dan restoran International Nomad. Anda dapat berolahraga di gym mutakhir dengan empat lapangan tenis dan dua lapangan squash, dan dengan berkendara selama 10 menit Anda dapat mengunjungi Dubai Creek Golf yang menyediakan lapangan 18 lubang. 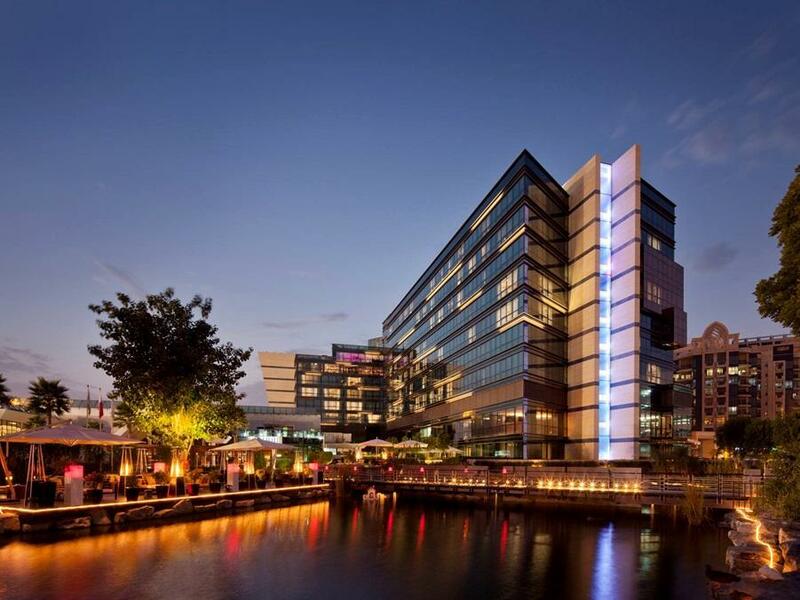 Jumeirah Creekside Hotel dapat dicapai dalam 5 menit dengan berkendara dari Pusat Kota Deira dan Bandara Internasional Dubai. Pasar tradisional Gold Souq dapat dijangkau dalam 15 menit dengan mobil. Properti ini menyediakan layanan antar-jemput gratis ke Wild Wadi Waterpark™ dan Jumeirah Zabeel Saray. Tersedia tempat parkir pribadi gratis. Usia minimum tamu: 11 tahun. The hotel offers 24 hours Check-in / Check-out service; to avail this, please provide confirmed flight details 48 hours prior to arrival. The standard check-in time is 3:00 PM and rooms should be vacated by 12:00 PM on the departure day. Guests scheduled to arrive early in the morning, who wish to access their room upon arrival, are advised to book the night prior. Late Check-Out Requests are at the discretion of the Hotel and are subject to an extra charge. All guests staying, including children, are required to present valid identification upon check-in, which may be either a passport or National ID. Only UAE Nationals can check-in with either a passport, National ID or a valid UAE driver's license. 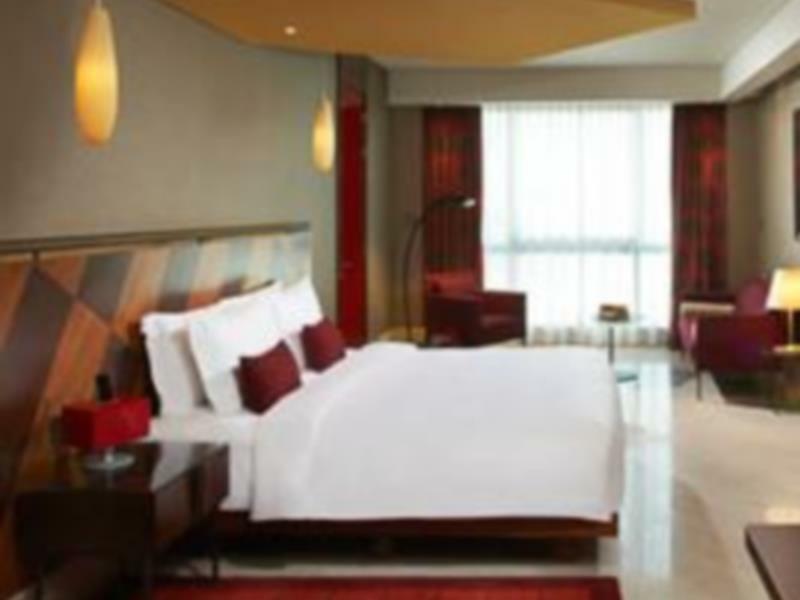 A Tourism Dirham Fee of AED 20 per bedroom per night is applicable, and the fee will be applied to all stays from 31 March 2014, collected by the hotel upon check-out. A clean and modern hotel. The breakfast has wide variety. The stay was worth the money as they also offer complimentary access to wild wadi park. plus shuttle service to dubai mall. overall it was fantastic hotel. I Like The Hotel And The Staff Was So Kind With Me ,, The Room, Facilities Are Perfect ,, Large And I Really Enjoyed The Stay . Thanks Agoda Because i GOT The Best Rate in All Other Book Sites .. Thanks Agoda For Being 24/7 Available Beside Me To Offer Any King Of Perfect Support For Me . Very comfortable stay in a nice hotel. The price is very reasonable if you deduct the admission fees for wild wadi waterpark which is free for guests. Breakfast is very good. The hotel is far from everything except the airport and dubai creek park though. Nearest metro is about 10 minutes walk which is not great in the heat. There's a shuttle bus to wild wadi and dubai mall but it's too infrequent and fills up quickly so if you're not at least 15 minutes early you may not be able to board. Staff are very helpful and friendly. Smooth check-in and -out process. The late check-out is highly appreciated. Staff is very helpful. The in-room dining service is prompt but the food is so-so. Brunch at Nomad is good albeit slightly overpriced. There are a lot of food choices near the property with Irish Village behind and some cafes off the hotel property. I didn't get to enjoy the complimentary access to Wild Wadi. Maybe, will reserve that for next time. Overall, it was a sweet stay and yeah, would definitely recommend for folks looking for a nice hotel near the airport or looking to visit the old downtown. We had an awesome stay during the hottest period of summer. Our room was spacious and clean, decked in modern decor. Little surprises to sweeten the experience - mini bar was free, staff was kind enough to allow 2 hr late check out even though they were fully booked. Hotel is minutes away from airport and The Dubai Mall, some restaurants nearby and a 24/7 pharmacy. Thank God for a great accommodation in the unbearable 42 degree heat. Great room and a very good location for the Irish Village, tennis stadium or airport. This Hotel was incredible, breakfast buffet was exceptional good enough to wake up early kept our bellies happy. Location was really good to airport and shopping centre and the waterpark. Modern design, excellent services, close to airport but a bit far from city centre. However, free shuttle to major spots like Dubai Mall, Wild Wadi etc. and unlimited free access to Wild Water Waterpark is definitely worth the money. The prime reason why i stay at this hotel is the Clark Francis Tennis. Its pretty much between 5-20 minutes location to all the prime places to visit. Clubs, beach, business and of cause the Malls. Jumeirah Creekside Hotel seem to provide the service as good as anywhere. Sometimes the checking process is built around their procedures rather than the client wanting to get in to their room. I think as English is most peoples second language you have to be clear on your request to avoid repeating yourself 2 or 3 times. We were arriving into Dubai on an early morning flight at 0050 and had arrived the hotel of our late arrival and that we were travelling with 2 children. Upon check in they said that our room was available but they would have to get the 2 extra roll away beds sent to the room. We had to wait for about 45 minutes for the beds to arrive. I was expecting the beds to be already made and ready upon our arrival. We were all exhausted especially the kids and did not appreciate having to wait for the beds. Otherwise we had a satisfactory stay. The hotel is only a few minutes from the airport. The hotel is very quiet and you can not hear any airport noise. Even sitting by the pool you only hear the odd aircraft (enjoyed watching all of the A380's). We really enjoyed our day at Jumeirah private beach and Wild Wadi. We combined them on the same day. We went to the beach first and then to the water park. We used the entrance from the hotel and did not have to queue, upon opening at 10am. We spent about 4 hours (and l am not a fan of water parks) there and we all had a ball. We then exited through the hotel entrance and spent some time at the beach again before taking the shuttle back to the Creekside. The Aviation Club and pool facilities are excellent at the hotel. The Irish Village next to the Creekside is great for dinner so too is Century Village (in particular Asmak & Mazaj). Modern hotel with nice rooms filled with artwork! Clean and silent. Close to the airport and 500m to the subway. Amazing hotel, super clean, big room, nice and very pleasant staff I’m very much happy for this hotel very much recommended to all types of traveler. Stayed for transit, near to the airport.